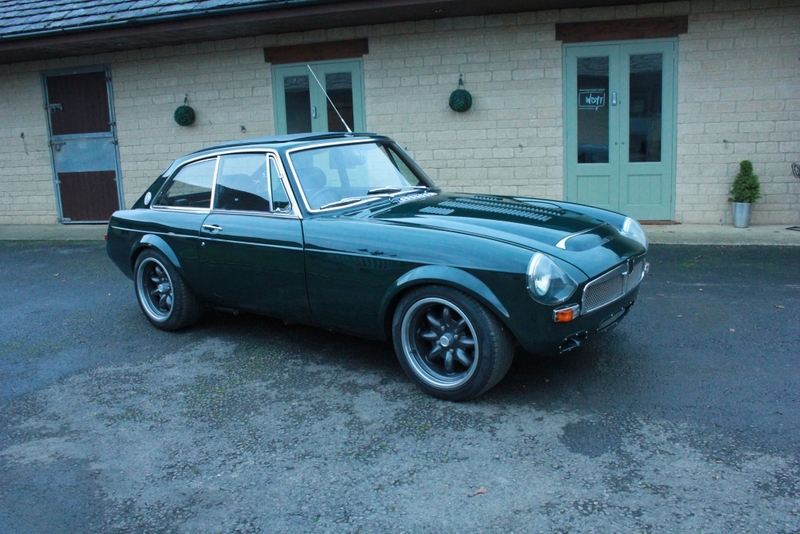 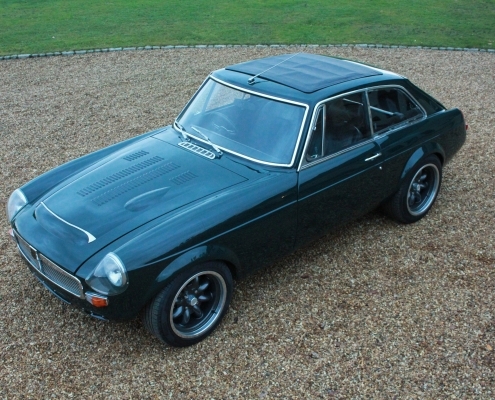 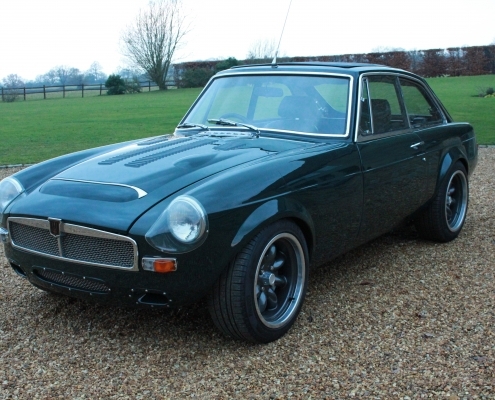 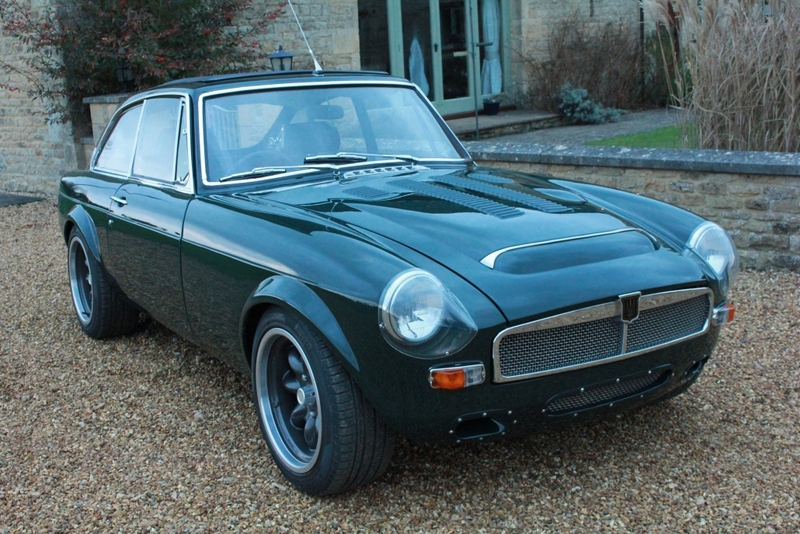 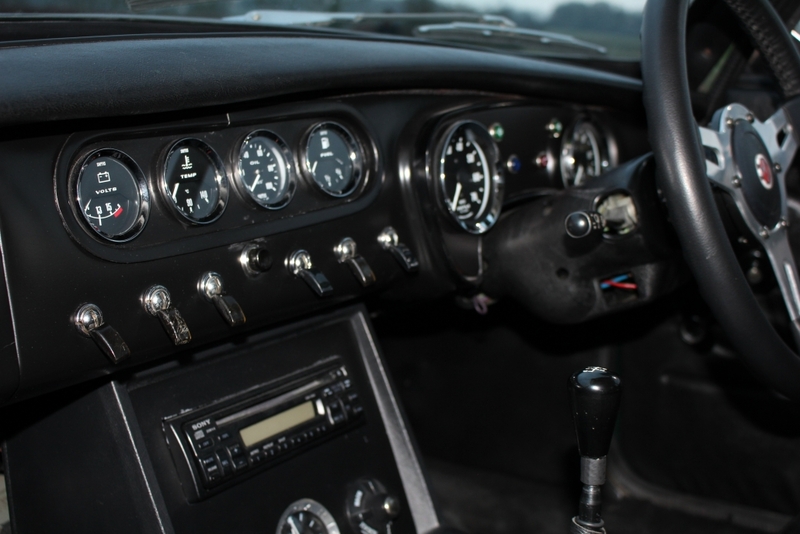 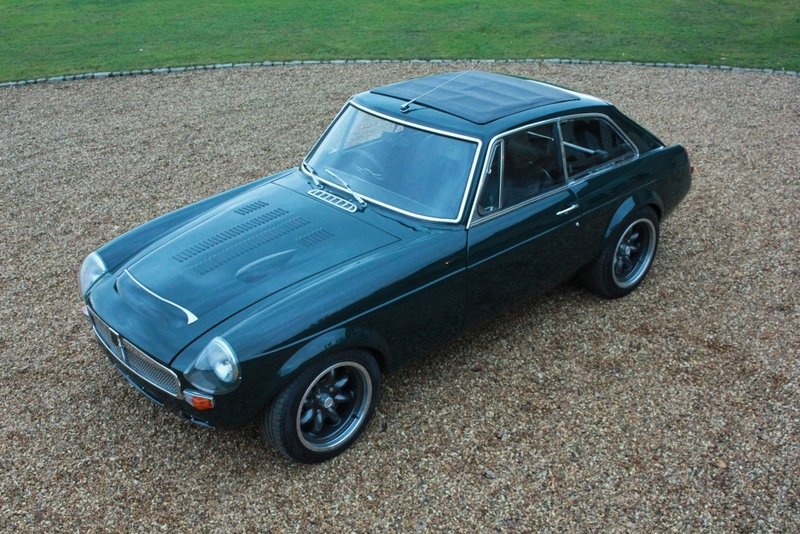 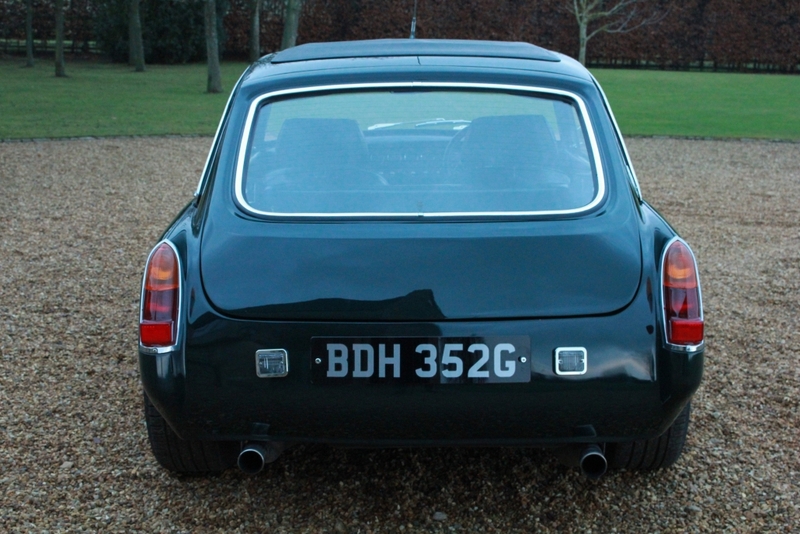 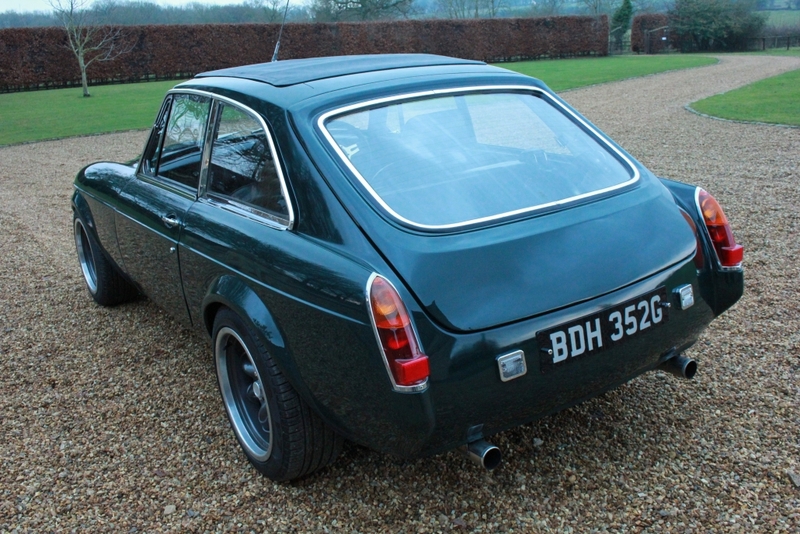 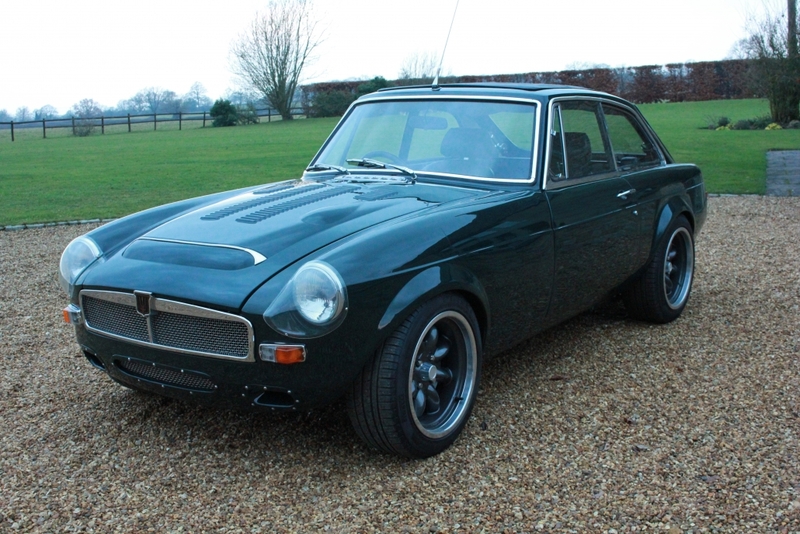 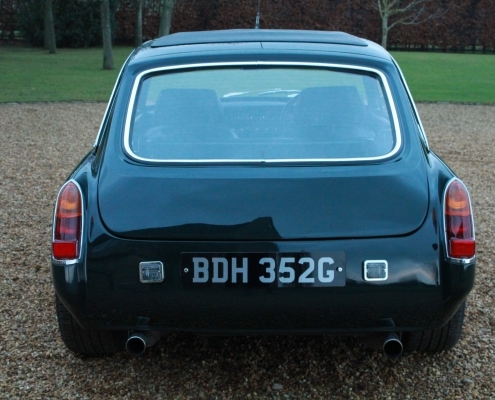 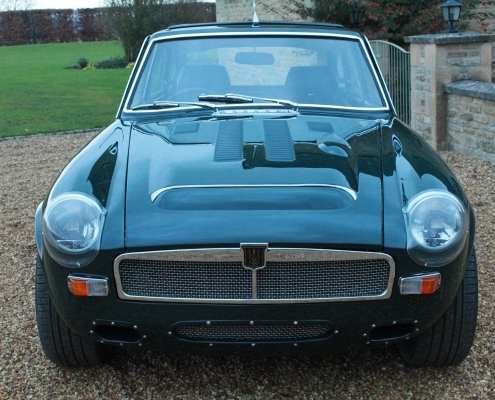 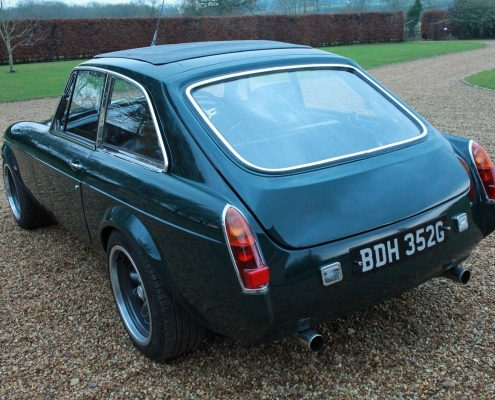 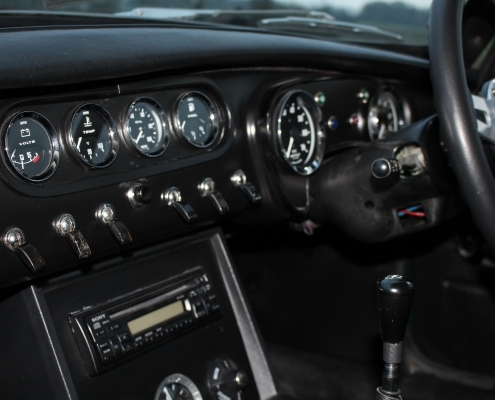 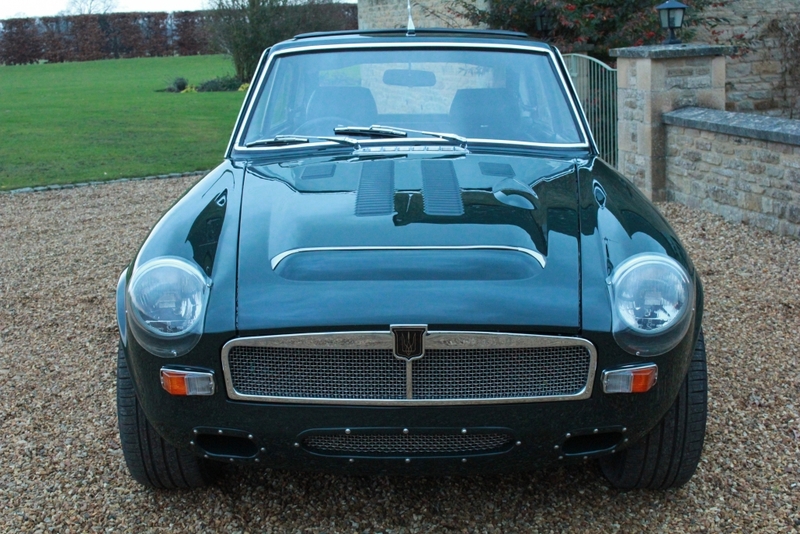 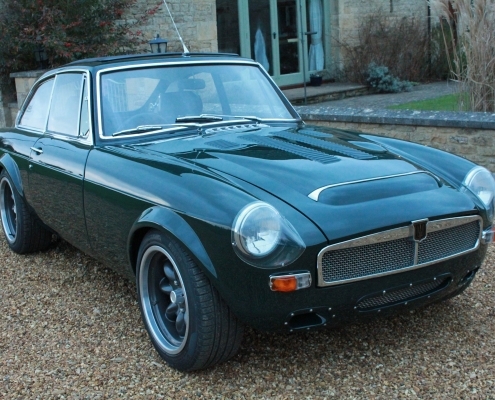 This special car has had around £40k invested in creating a truly outstanding modified MGB V8 GT. 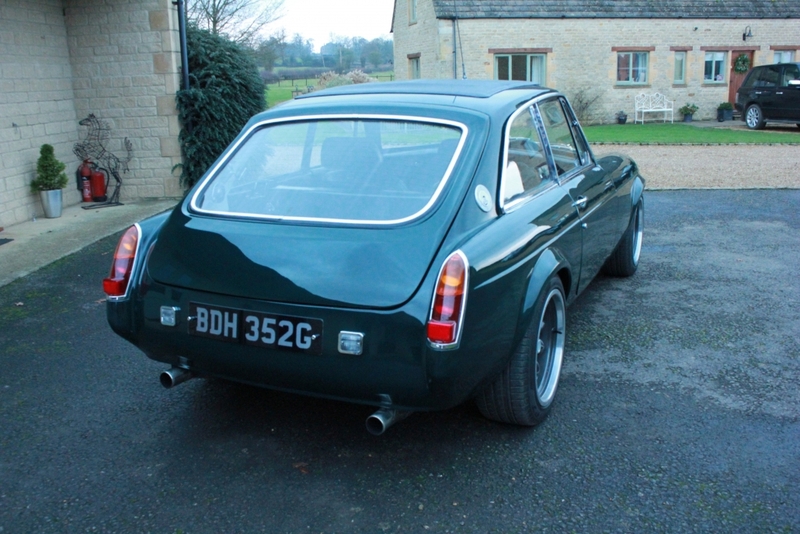 The car has covered less than 1000 miles since completion in 2012 having being restored and modified over a ten month period by Valley Gas Speed Shop in Hampshire and has a very impressive specification. 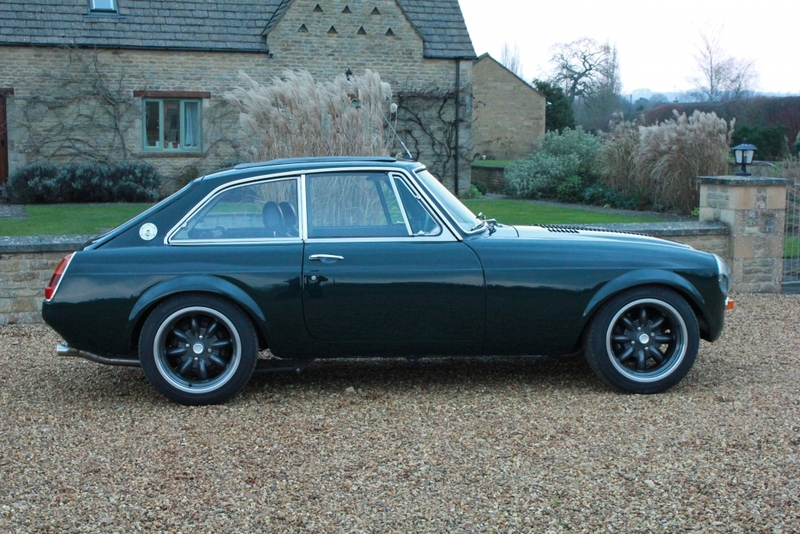 She boasts a tuned 4.0 TVR V8 engine with 5 speed Rover gearbox, Wilwood brakes, Spax shock absorbers and many upgrades making this one of the quickest MGs you could buy. 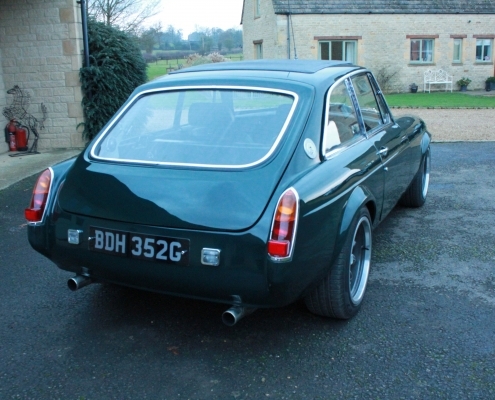 The body was rebuilt and enhanced with new valances, new flared wheel arches, smooth tailgate with electric release, MGC bonnet with vents, new badges and grill, new LED lights and a full re-paint in British Racing Green. 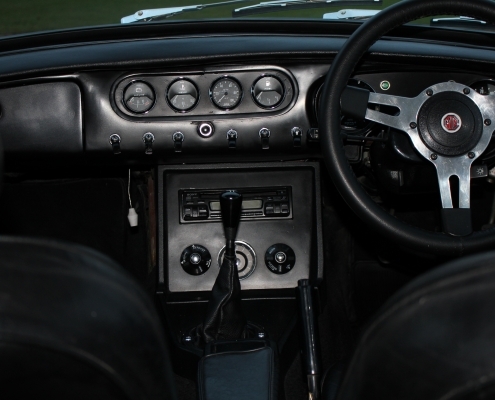 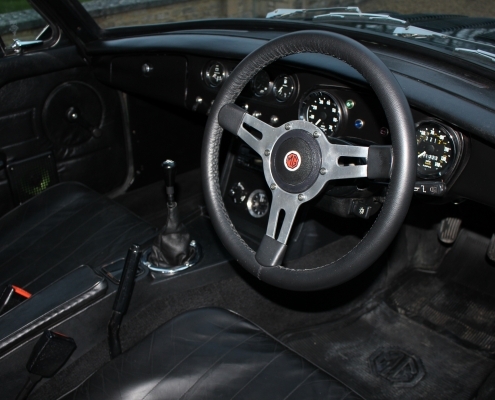 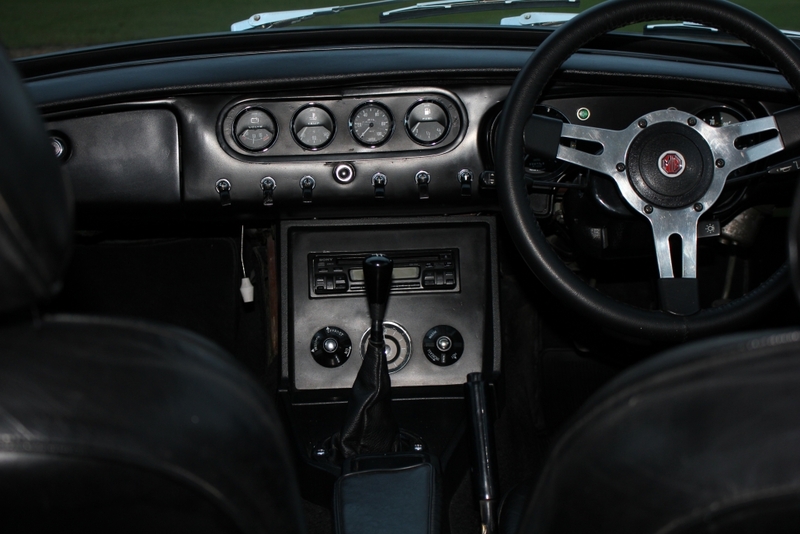 The interior has been enhanced with new dial and switch panel, push button start, new headlining and has retained original seats and door cards. 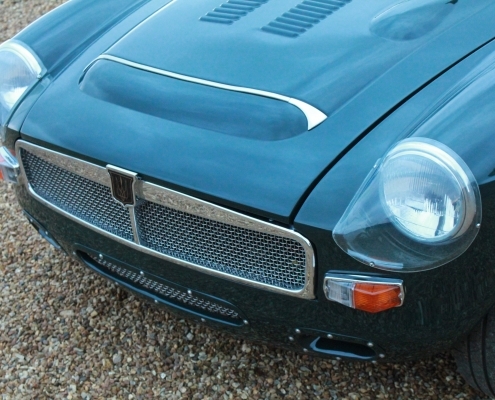 Externally this MG is stunning with an excellent, straight bodyshell with a stunning deep paint finish. 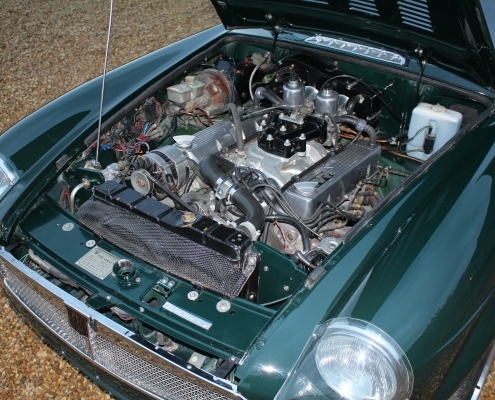 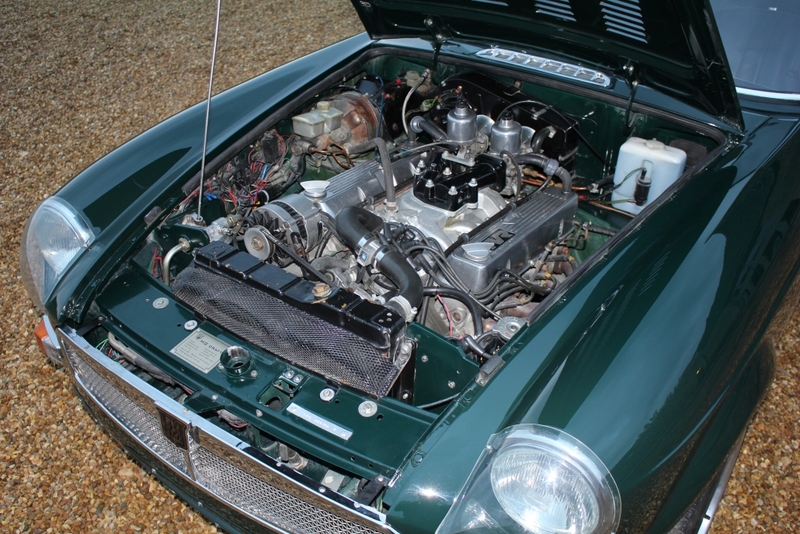 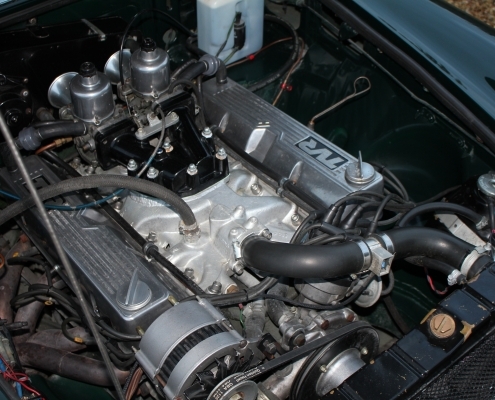 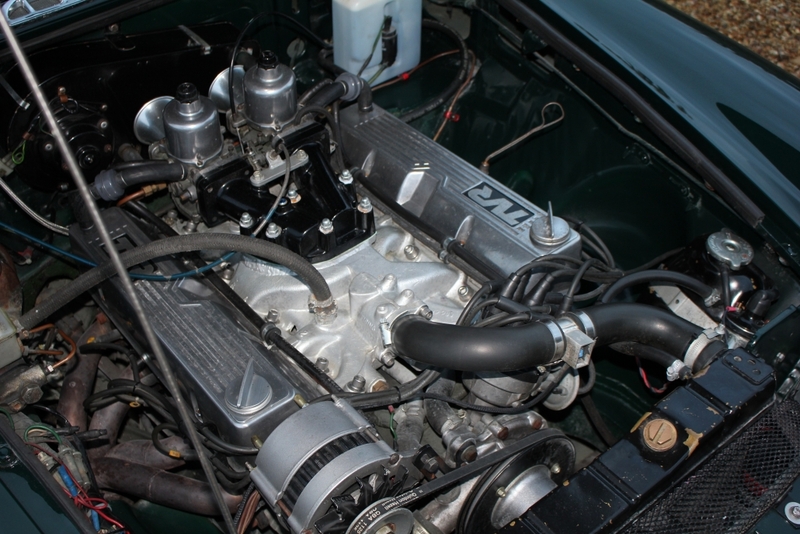 The engine bay is smartly presented and the 4.0 TVR engine was rebuilt prior to fitting. 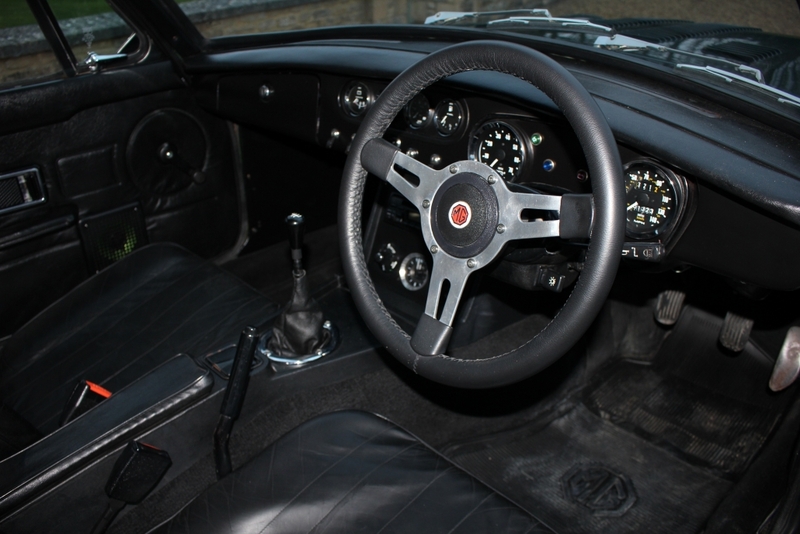 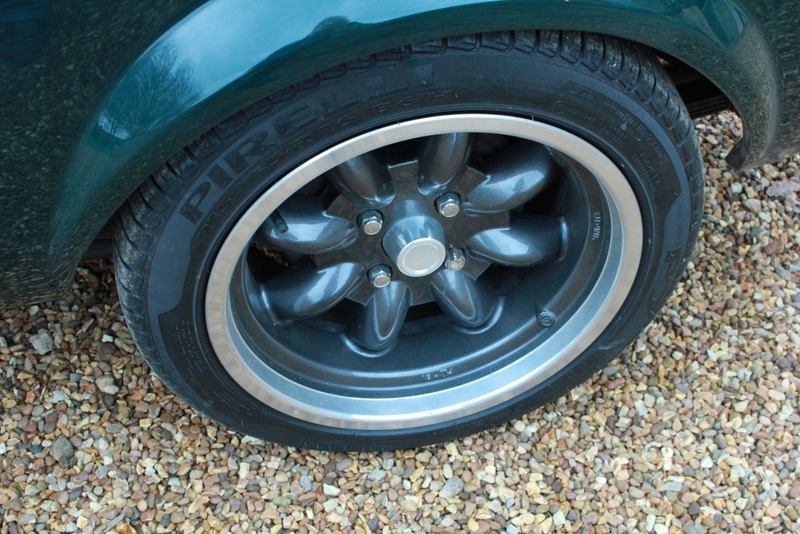 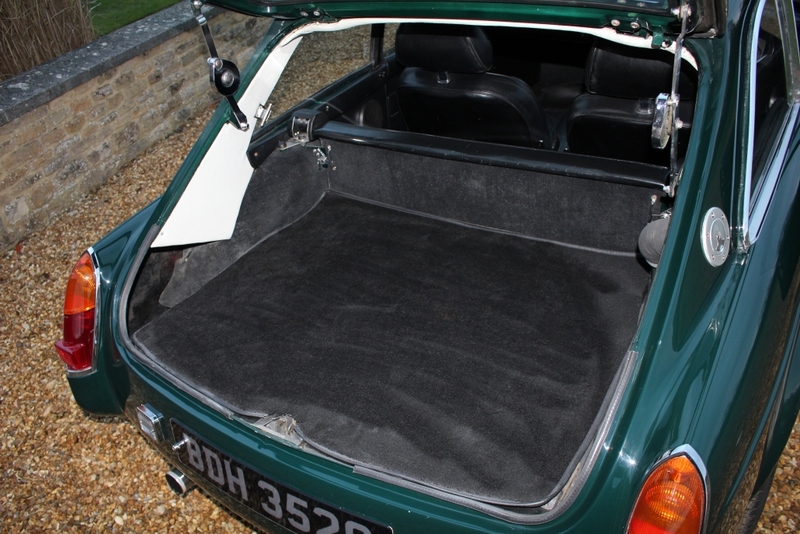 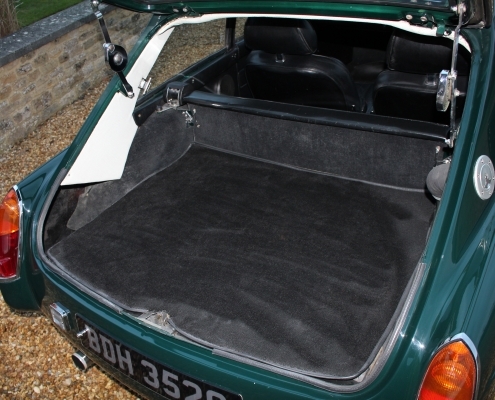 The interior has an older look, could be further enhanced with bucket style seats but does offer comfort. 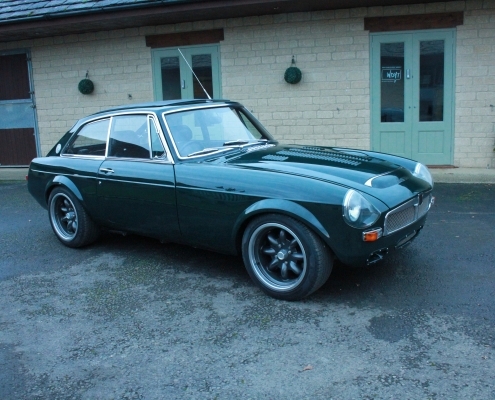 On the road she is not for the faint hearted with stunning acceleration allied to a very slick gearbox and tight chassis. 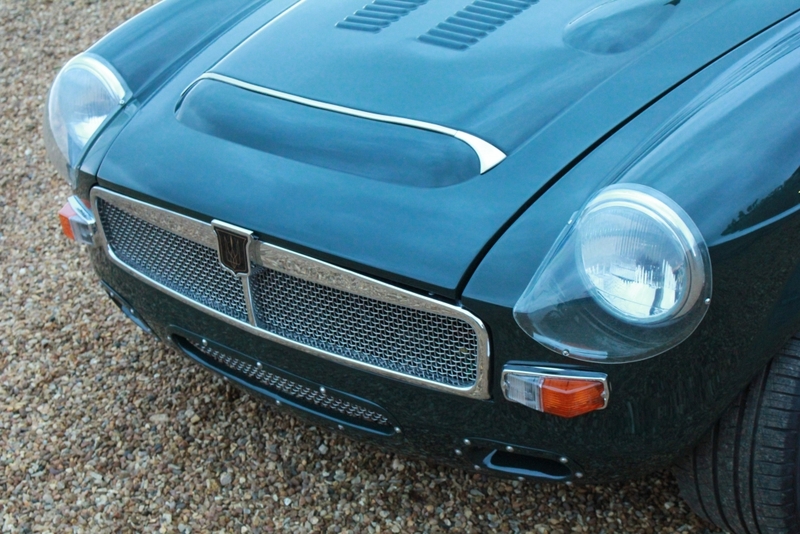 This is a challenger to the Cobra with am amazing soundtrack rounding off the package. 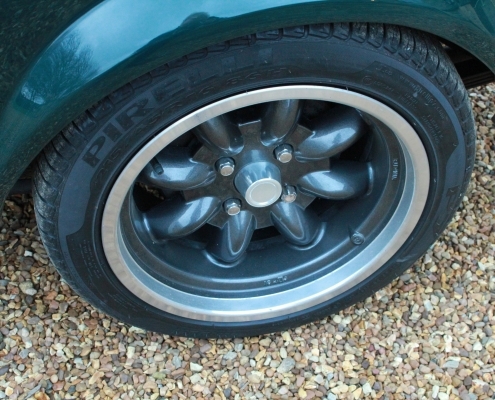 Supplied fully inspected,serviced with a comprehensive 12 month warranty.